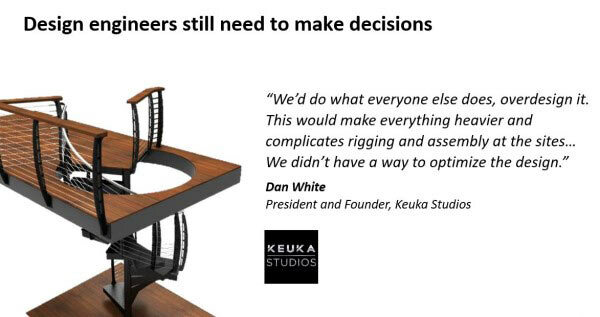 Keuko Studios’ president, Dan White, admits that overdesigning products is still a regular practice. Companies need to base more business decisions on simulation. Engineers need tools to optimize more parts in less time. Pervasive simulation inspires adventurous innovation throughout the development cycle. Keuka found that ANSYS Discovery Live empowered his team to test new ideas and reduce the cost of the company’s designs.